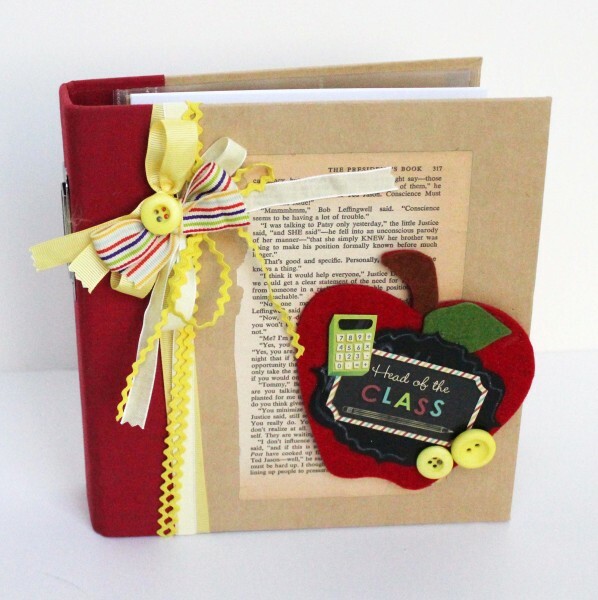 Did You Scrapbook School Portraits Yet? The school year is almost over and let's be honest: those school portraits are still sitting in the envelope they arrived home in last fall! It's okay. We're all in the same place – behind on our scrapbooking projects. Did you scrapbook school portraits yet or not? The end of the school year is fast upon us and it is as good a time as any to catch up on this school year's memories before you start having summer fun. This mini album is a simple and easy way to get a jump start on those school portraits so you'll be ready to scrapbook back to school in the fall. These easy techniques for decorating the album cover are great for a binder style album, like this [email protected] album from Simple Stories, or to decorate a photo album. « Getting Ready for SNAP Conference!